Ever had one of those moments where you’re having a few drinks with friends and you come up with a great idea? You know the kind – usually they involve movie scripts or fast food creations. My dad says “everyone has a brilliant idea now and then, but it’s the people that do something about them that matter.” Well, meet Robert Maddox. 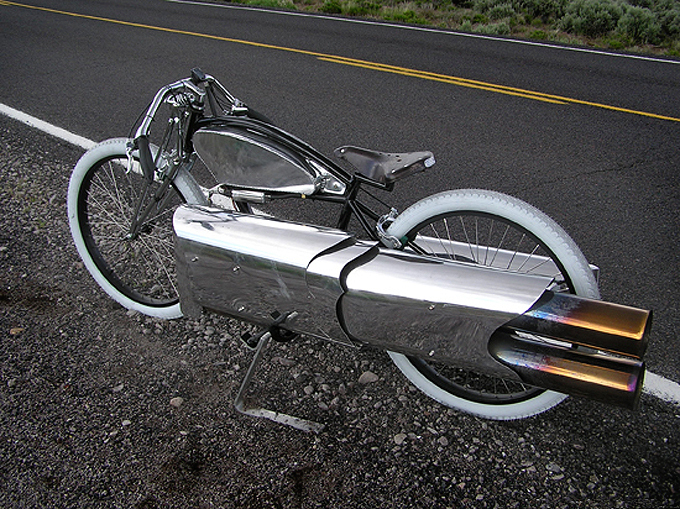 His moment of enlightenment involved a old-school Electra bicycle and a pulse jet engine. What’s a pulse jet engine you ask? It’s a stupidly simple form of jet engine that was invented over 100 years ago. You may also know it by its other name – the German V-1 Flying Bomb.